Fast release penetrant. 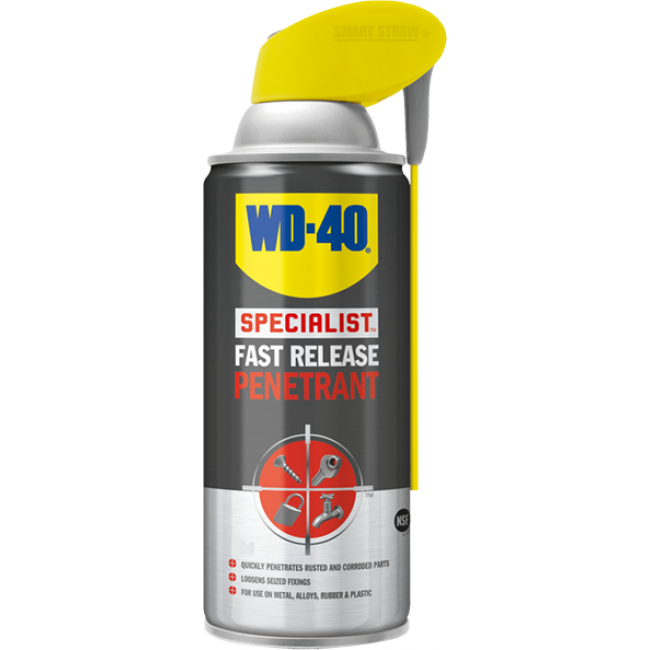 This powerful fast acting solution, quickly penetrates its way into hard to reach areas, rapidly loosen seized fixings, stuck or rusted moving parts. Highly water resistant. Withstands temperatures of -20°C to +90°C, quickly penetrates rusted and corroded parts, loosens seized fixings. For use on metal, alloys, rubber, plastic & most paints.